Looking for a quick and accurate accounting of the top destinations where people are moving? Let’s take a look at U-Haul Growth States. No surprise - Texas is the U-Haul #1 Growth State in America for the third consecutive year. Texas arrivals of one-way U-Haul trucks were up 5% compared to the state's 2017 numbers, while arrivals accounted for 50.2% of all one-way U-Haul traffic in Texas. Communities in and around the Houston, Dallas-Fort Worth, and Austin-Round Rock metropolitan areas continued to see some of the largest influxes of rental truck traffic in the state. Growth states are calculates by the net gain of one-way U-Haul trucks entering a state versus leaving that state during a calendar year. Migration trends data is compiled from more than 2 million one-way U-Haul truck sharing transaction that occur annually. Thanks to its expansive network that blankets all 50 states and 10 Canadian provinces, U-Haul is the authority on migration trends. The geographical coverage from more than 21,000 U-Haul truck and trailer sharing locations provides a comprehensive overview of where people are moving like no one else in the industry. Previous year rankings in parentheses. Washington, D.C. is its own U-Haul market and is listed among growth states for migration trends purposes. Hawaii is not included since state-to-state truck transactions are not applicable. 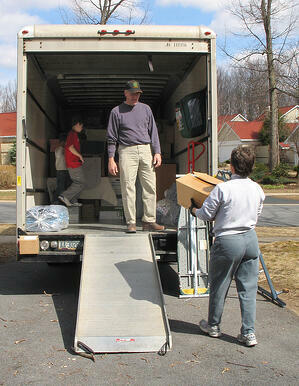 We thought the U-Haul study was an interesting reflection on the migration of people in our country and to our state. When you are moving and have questions about insurance both at your destination and while you are in transit, please call us. Dean& Draper is a Trusted Choice insurance agency representing over 200 insurance companies. For over 35 years we have offered a trusted freedom of choice to our clients. Contact Us.